However, as anyone who has ever led a team knows, whenever there is more than one person involved in any endeavor, things are often quite a bit messier than the ideal scenario we may have in our minds. One area where this is especially true is during a team decision-making process. Getting a group of people to come together and agree on a decision can be one the most difficult aspects of leading or working on a team. Sometimes, even when the process seems as though it goes very smoothly, subtle forces are conspiring to prevent the best decision from being made. I recently had a chance to chat with Don Maruska, the founder of three Silicon Valley companies, and the author a very helpful book on the topic of team decision making, called How Great Decisions Get Made. In our discussion, Don pointed some of those forces, and offered some great ideas – below are three – for keeping those forces in check so our teams can consistently make the best decisions. 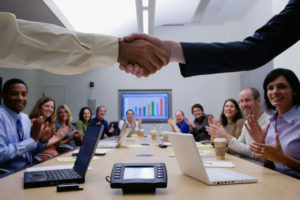 For any major decision, it is well worth a little extra time up front to identify all of the stakeholders affected by a decision, and all of the people who could have a valuable perspective to share on the issue at hand, and do the best we can to involve them in some way in the decision making process. This can be especially true when making a decision that affects our customers. Sometimes involving a front line person who interacts with customers every day could yield an incredibly value insight into the problem and its solution. Another worthwhile use of time for any major decision is to ensure that there is clarity on the issue really is. It would be a shame to spend a good deal of time resolving an issue that is actually much less important than another issue that hasn’t been well identified. In our discussion, Don suggested that we take some time for each stakeholder present to express their thoughts and concerns about the topic. Before the next person speaks about their own thoughts and concerns, they summarize what the previous person said to ensure that the previous person was heard clearly. Have you ever noticed than when you get into a discussion on a topic that you care about, you get a little charged up? That charged up feeling is likely a variation of the stress response in the body. When people talk about something we care about, it’s as though they are talking about us. It’s easy to feel as though we’re being attacked when in fact it’s only an idea that’s being attacked. This results in the self-defense system – the fight-or-flight response – being activated in the body. The fight-or-flight response is very helpful when we’re actually in physical danger, but when we’re simply trying to reach a good decision being in self-defense mode can have disastrous effects. As Don mentioned in our discussion, we start to use less of our pre-frontal cortex – the executive center of the brain, largely responsible for rational, higher level thought. Maruska offered a number of tactics that can be applied to systematically reduce the levels of self-defensiveness from the equation and thereby consistently reach better decisions. Take time very early to discover shared hopes around the topic at hand. This is already getting people see their commonalities instead of focusing on differences. Brainstorm as a group possible solutions and record them all without taking time to discuss them or agree or disagree with them. This gets as many ideas out as possible without allowing early dissent to prevent a similar idea from being mentioned, an idea that could end up being the solution. Without getting into a debate, have everyone state one negative thing about each option, and a few positive things about it. This tends to result in significantly less defensiveness because every idea is being treated equally. Identify which options satisfy shared hopes for the outcome. Map out the most promising solutions and take time to discuss how to improve them in ways that could result in everyone agreeing to implement the decision.